Guess what? 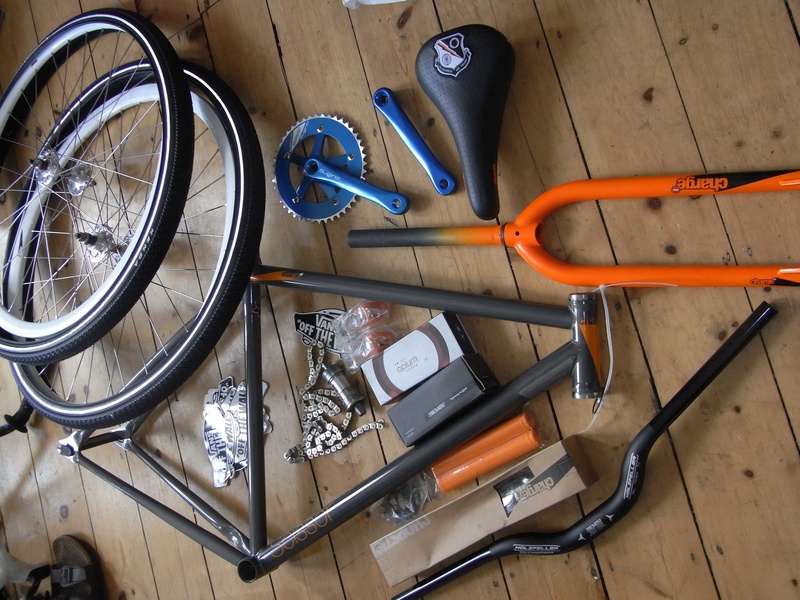 Feeling a lot happier today – my new bike arrived! Just gotta put it together and then I’ll post some more pictures. Might pop down Shop 14 first and swop the blue cranks for another colour and gonna keep my bars slightly wider this time. Can’t wait to ride it!!! Lucky me! My god the new Charge Scissor frame set looks good ! where can i buy a complete??? This is a beautiful looking set-up, all seems to work so cleanly, especially once you lost the blue cranks, what other parts have you got there other than the charge scissor frame and dishes? hi, can you tell me is it an S size scissor? And if I should buy an M size scissor is that fit for me if my inseam 89cm an I’m 184cm tall? mine is a Small. Im not sure which you should buy – how tall are you? I’m 6 feet and (1/2) inch (184cm).